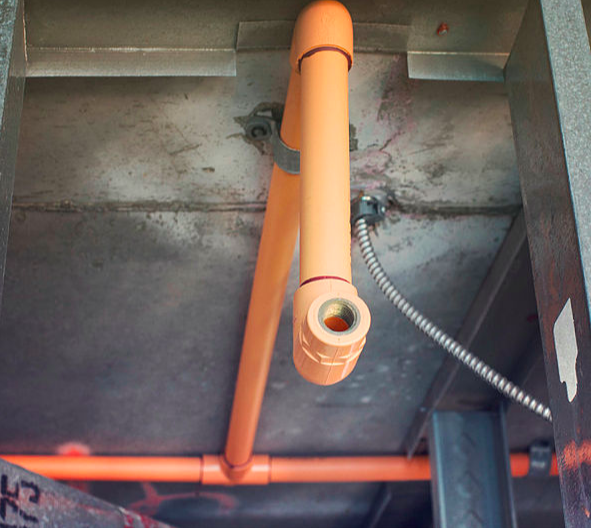 Partner with BlazeMaster® Fire Protection Systems, the most specified nonmetallic fire sprinkler systems in the world, offering easy installation, inherent corrosion resistance and excellent flame and smoke characteristics. 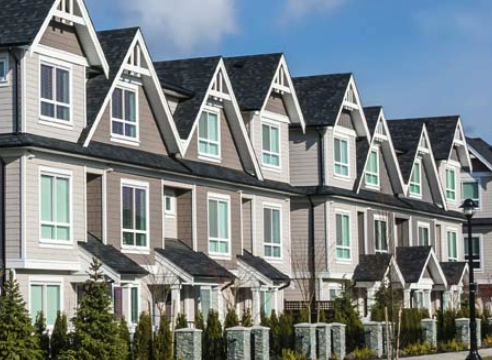 Regardless of the situation—whether new construction or building retrofit—BlazeMaster Fire Protection Systems are specially engineered for use in all light hazard commercial and residential applications. Our CPVC satisfies all standards and code approvals for nonmetallic fire sprinkler material. 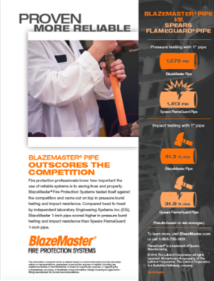 Backed by Lubrizol Corporation’s nearly 60 years of CPVC experience, BlazeMaster material delivers the reliability and security expected of any fire protection system. Relied on by schools, office buildings, hotels, healthcare facilities, libraries and commercial retrofits. Proven dependable in care homes, student residence halls and high-rise residential blocks. Reacts quickly to provide families escape time and limits amount of properly loss due to fire damage. 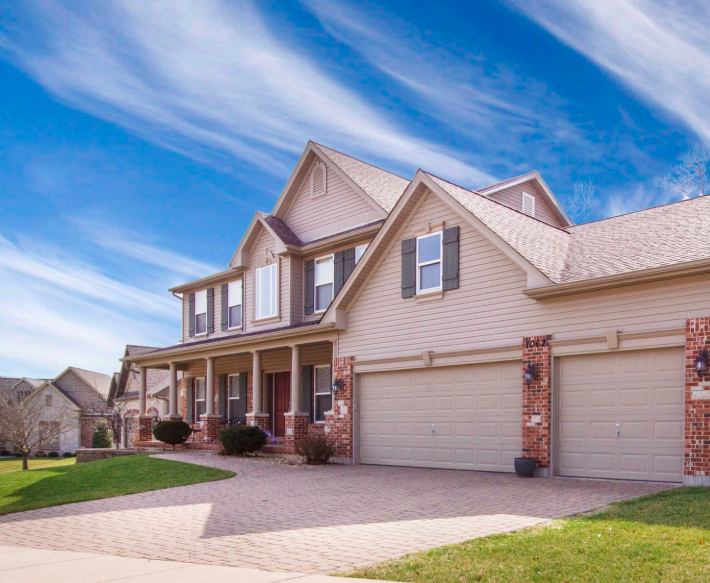 Installs quickly and safely, limiting costs and avoiding occupant disruptions. As the most specified nonmetallic fire protection system in the world, our CPVC has developed a reputation of being reliable, cost effective and problem free. In addition, contractors have come to trust our expert product training and support. Below are just a few of BlazeMaster CPVC’s success stories. In 2016, Wales became the first country in Europe to require automatic fire sprinkler systems in new and converted residential properties. See why one contractor chose BlazeMaster CPVC for their projects. For a broad range of multifamily, high-rise and light hazard projects, Affordable Fire Protection, Inc. chooses BlazeMaster CPVC. Thirty-four years ago the fire sprinkler industry witnessed something never seen before – the first commercial installation of a CPVC fire sprinkler system. The system was a BlazeMaster CPVC fire protection system. Our product and engineering experts look at the entire story to determine which system provides greater value. 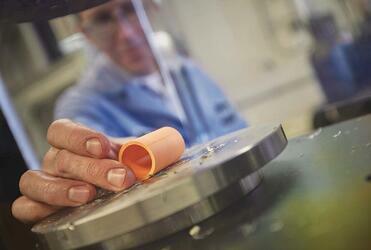 Our product outscores the competition in terms of pressure burst testing and impact resistance. 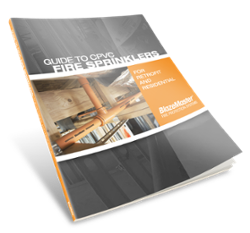 Access the BlazeMaster CPVC BIM Library to expedite design of fire sprinkler systems with real-time, 3D modeling. Discover how to save time and money with CPVC, the history of CPVC, the best projects for CPVC use and UK certifications and approvals.